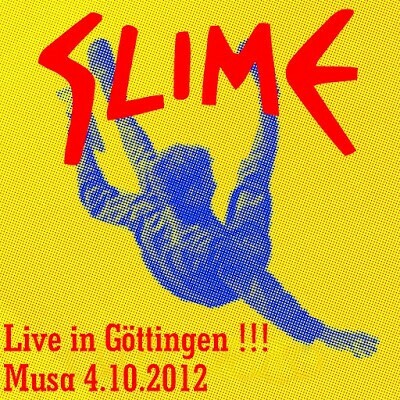 In 2012 entered Slime from Hamburg the stage again and in the baggage their new record which appeared almost twenty years after the Schweineherbst album. Of course I was curious and had to see them live (last was 1990 in the Fabrik). Although I did not like the new album very much, I was hot for the gig, especially as I wanted to hear the old classics. So we go to the Zoom and experienced a refreshing evening with lots of fun, beer and a band in an euphoric playing mood, as if they had never been away. Grandios! Now here are quite good recordings from their show in Göttingen, enjoy!